Sea Turtles in Crete - the chosen charity of the We Love Crete team. 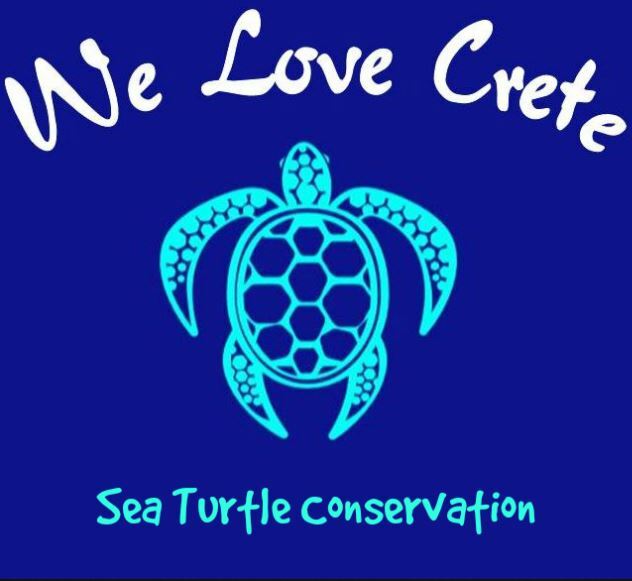 The team at We Love Crete have chosen Archelon Sea Turtle Protection Society of Greece as our major charity. 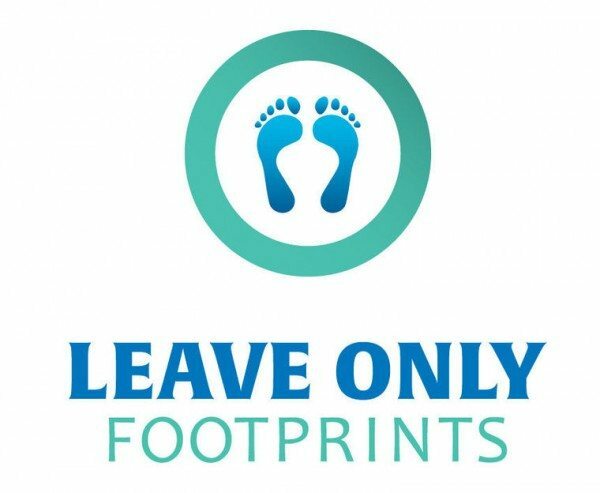 A portion of our proceeds from We Love Crete website goes to support this wonderful charity, which is active in Crete and Greece. What is the life cycle of a Caretta caretta? The Caretta caretta turtle is significant in Greece and Crete. These turtles live a long life and the females and males return to the waters where they were born, to find a mate. In Greece, the mating season is May to June, After she has mated, the female returns to the beach where she was born, to lay her eggs, and so the cycle of life continues. The egg laying season is May to September. The females are very heavy and clumsy on the sand, and this journey out of the water takes a long time, as they must crawl up beyond the high tide mark. They then dig a hole about 40 centimetres deep and the laying of 90-120 eggs also takes a long time. 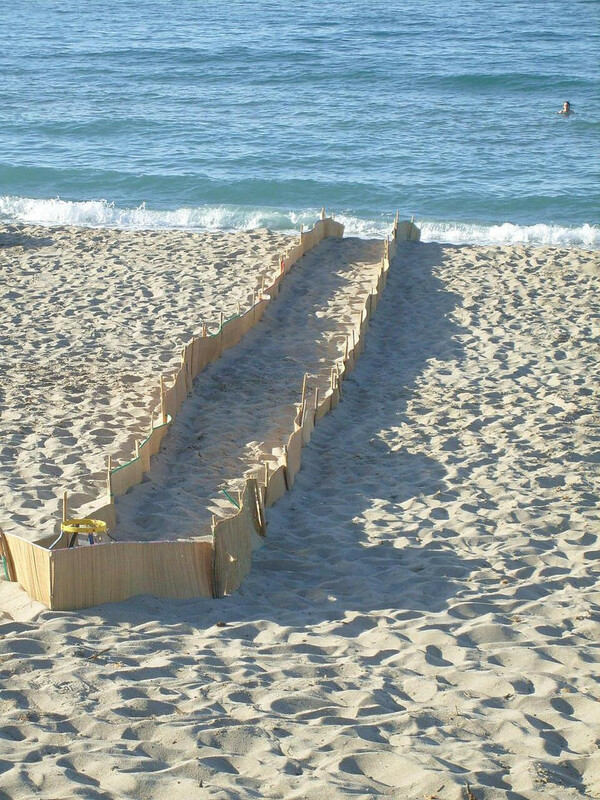 Then they laboriously flick sand back on top of the eggs to bury them, and make their way back into the sea. This whole journey can take the female between 3-4 hours. The female will lay 3-4 clutches of eggs in one season, and the eggs can have up to 7 male fathers in one clutch. The eggs hatch in about 60 days, digging their way out of the sand and somehow getting to the sea alive, yet sadly some do die from exhaustion, disorientation or are taken by predators such as martens, rats, crows, gulls and cormorants. The hatchlings get disoriented by bright lights and it is best that they navigate naturally with sunlight or moonlight. 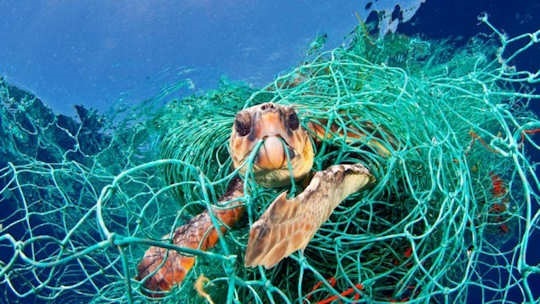 What does Caretta caretta mean? This is the scientific name given to these Loggerhead turtles, coming from an old french word for turtle 'caret'. Where do Caretta caretta live in Greece? These turtles live in waters off Zakynthos Island in the Ionian Sea, there are some nesting beaches there, where many volunteers also attend to protection efforts in the Bay of Laganas, the most important nesting site for Loggerheads in the Med. Caretta caretta are also found in the Peloponnese, in four different nesting bays; Kyparissia, Lakonikos Bay, Koroni and the area between Neda estuary and the village of Kalo Nero. These are areas of intense conservation. Archelon has other active sea turtle projects in the Amvrakikos Gulf and Kefalonia Island. 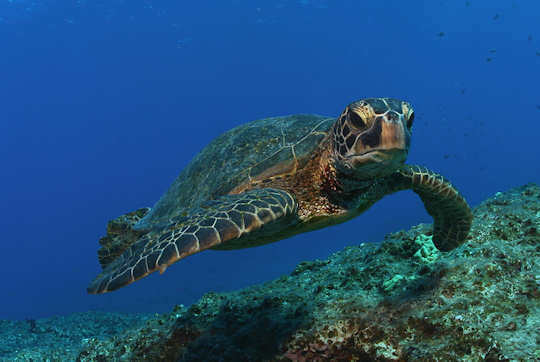 There are active, protected nesting sites for Caretta caretta in Chania, Rethymnon and Heraklion in Crete, and turtles can be seen in many waters around Crete. What do Caretta caretta eggs look like? The eggs look a bit like ping pong balls. They are white and soft, pliable with thin paperish shells and are laid in clutches of around 90-120 at a time, then buried in the sand about 40cm deep. When do sea turtles lay eggs on the beach in Crete? Females come ashore to lay their eggs between May to September each year. When do sea turtles hatch in Crete? The hatchlings emerge from their sandy nest 2 months after being laid, so they can hatch any time from June to September. Where can you see sea turtles in Crete? In any of the waters anywhere around Crete you may be lucky enough to see a turtle swimming wild. Also you could see one in the aquarium at Thalassocosmos CretAquarium near Heraklion. Can you swim with turtles in Crete? What are the threats to sea turtles in Greece? Sea turtle projects in Crete are coordinated every year by Archelon, the Greek Sea Turtle Protection Society. 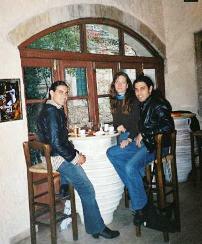 Project sites are located in Chania, Rethymnon and Heraklion regions. The base camp for the Chania project is at Camping Chania at Agioi Apostoli, about 4 km west of Chania town. The base camp for the Rethymnon project area is Camping Elizabeth, about 4 km east of Rethymnon Town, right on the long sandy Rethymnon Beach. 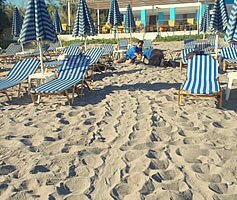 The base camp for the projects in the south of Crete, in the Bay of Messara, is at Matala Beach Camping, 75 km south of Heraklion town. 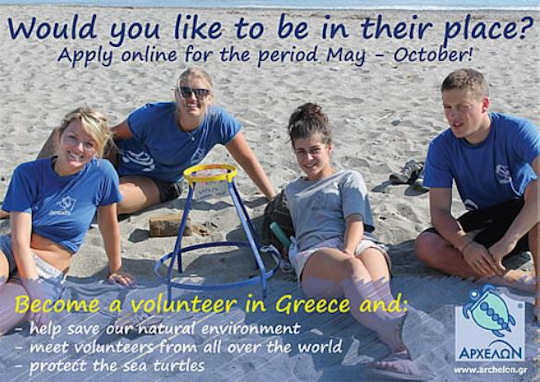 Mark Latter said "Here is my story about the Archelon young volunteers. This summer when I was in south Crete, I would wake up early, very happy and looking forward to another day at the beach. When I arrived at the beach on this already very hot day, I looked down the beach and saw two young people walking along with clip boards and a turtle nest protection frame. They were busy recording information about turtle nests and hatchings. I saw that the two Archelon volunteers were approched by two Greek women interested in their daily work. They were very polite and answered questions in a very knowledgeable way. The next day I was back again at the same beach, and had the pleasure of meeting another two volunteers who had walked many kilometres in the hot Cretan sun to help Archelon and their protection of the Caretta caretta. 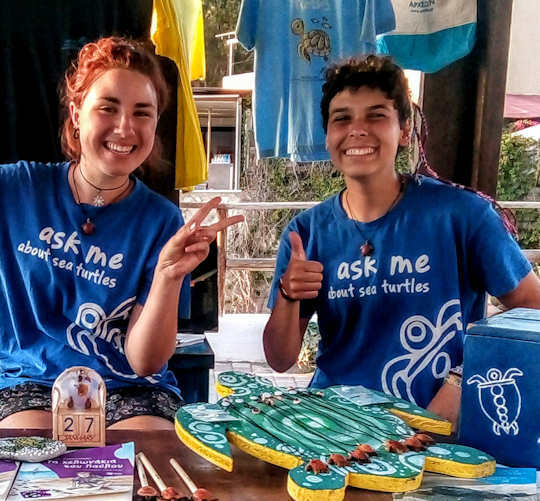 If you are in Crete and see these great young people in their blue t-shirts spare a thought for them, and the protection of the vulnerable sea turtle population.These volunteers are walking these beaches for weeks because they believe in something very, very important." Be aware of sea turtles on beaches in Crete. Sea turtle females need to access the beach without noise or lights or interruption to lay their eggs. They are guided by moonlight and need it to navigate. We are so happy that you are interested in donating to the cause of sea turtle protection in Crete. 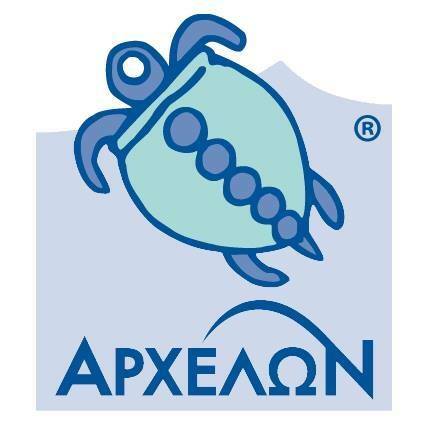 Archelon was formed in 1983 and is a non-profit organisation working in collaboration with other non-government organisations and scientific programs throughout Greece to protect Sea Turtles. The group works with all levels of government and all parts of the community to raise awareness, provide education, develop solutions to conservation of turtles and to actively protect turtle nesting sites. Volunteers are a big part of Archelon and every summer people come from all over the world to assist. Over 50 turtles are treated every year at the rescue centre in Gyfada near Athens. Simply, they do a great and important job. "A richly bio-diverse Mediterranean Sea with balanced marine and coastal ecosystems in which sea turtles thrive." If you want to learn more about turtles in the Med. and about conservation efforts and programs to protect them, you can learn a lot from Medasset information and videos. Check out their website if you are an educator or if you want to support their work, or perhaps volunteer in Athens. Just don't be 'that guy'!